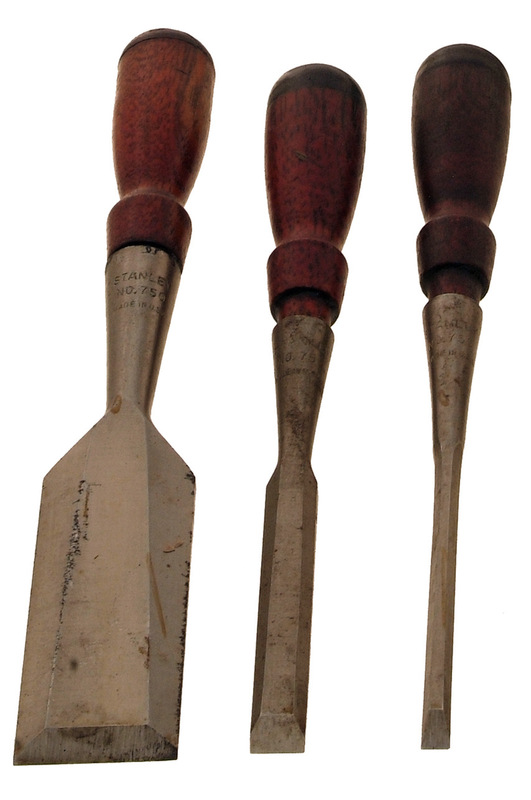 Three extra clean Stanley chisels, No. 750, by Stanley Tools. 3 No. 750 chisels 1/4,1/2,. all little used.